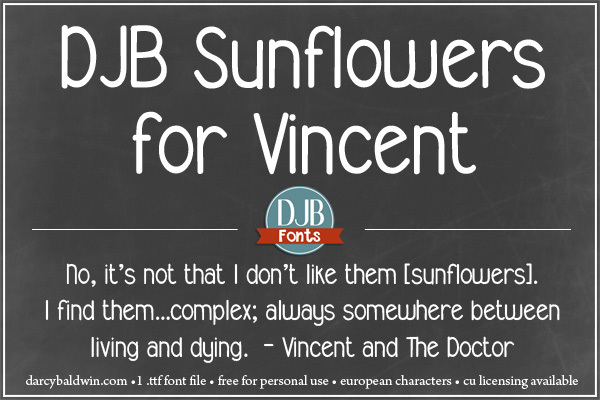 DJB Sunflowers for Vincent – a new font dedicated to one of my favorite Doctor Who episodes. #geeksunite! 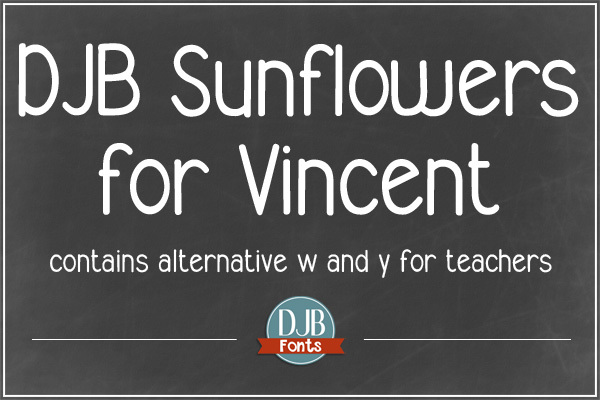 It also contains an alternative w and y for teachers. If you would like to use this for your commercial/professional ventures, please purchase a commercial use license here. For your records, be sure to include the name of the font you are purchasing the license for. Alternatively, you can purchase it from Creative Market and at The Hungry JPEG.